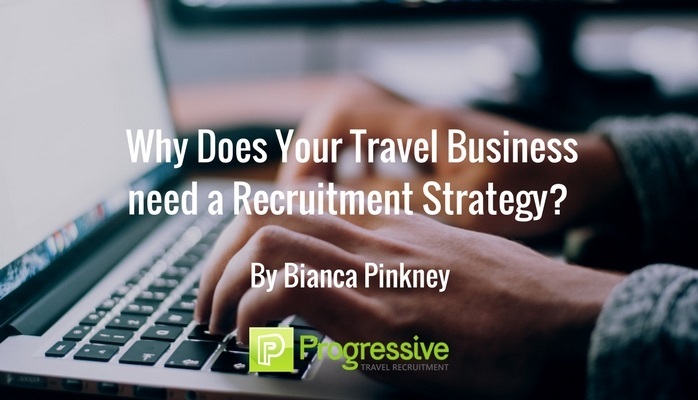 Why does your travel business need a recruitment strategy? A good recruitment strategy allows your travel company to plan recruitment goals and objectives by identifying potential areas of weakness and growth, and offers efficient and cost-effective solutions – in advance. All companies will benefit from having a consistent and organised recruitment model in place. If you’re struggling to meet your staffing needs, rushing to fill vacancies, or missing out on travel talent, it may be time to give your recruitment plan a rethink. In today’s candidate driven market, many companies may struggle to find high quality travel employees. The right recruitment strategy will make it easier to find and attract the best travel talent in a timely fashion, rather than making reactive decisions when it is too late. · An analysis of your company’s staffing needs and any issues or weaknesses that are present. · A list of recruitment goals and how you plan to achieve them. · Where and how you plan to find new employees. · Any seasonal fluctuations in staffing requirements and how you plan to accommodate those fluctuations. · A way to measure your results and determine whether your recruitment strategy is working. Your recruitment strategy can be flexible. Organisational needs will often change, and you can’t plan for every eventuality, but it can be helpful to have a general idea how you want to manage your recruitment and what you hope to achieve. Neither does it have to be a complicated document or model, as long as it works for you. But once you have put your strategy together, make sure it doesn’t spend the rest of the year collecting dust in a drawer! Review and tweak your planning regularly to ensure it reflects the current needs of your travel organisation. For your recruitment strategy to work effectively it is essential that all hiring managers and departments across your travel organisation are fully aware of the model, and follow it accordingly. Whatever your travel recruitment needs are this year, don’t leave them to chance. Devising a recruitment strategy and sticking to it can give you the best possible chance of finding and keeping the top travel talent in the market. For assistance with creating a recruitment strategy and for all your travel recruitment needs, contact Bianca@progressivetravelrecruitment.com or follow me on LinkedIn. Do awards matter for travel recruitment companies?